This module was developed for the Diemoz 2015 Hexbition in France, the aim is to create a fun and reliable module using the ball pump lift I have created for the vertical ball clock some month ago. The functionality is very basic. The balls wait in the starting tray which is moved alternatively to prevent ball blocking. Then the balls are load in the vertical ball pump. This ball pump is based on the scotch yoke principle. A rotating cam makes the ball loader moves front up to down and right to left combining. Thanks to this, the ball is taken, pass through the vertical storage and then is blocked until a other push it the move upper, this until the vertical lift is full of ball. Then the ball reaches the highest point and is released in the spiral. This spiral slide is composed of ribbed hose which is connected together to make a slide like a roller coaster. It has been very hard to find how to maintain the slide with the smallest amount of parts for viewing convenience. I used for that the same scheme repeated three complete turns and are attached to 3 points. One on the lift, and two to the frame. The slope of the slide is not high because I do not want that the ball comes off the slide, in order to not use guardrail. Consequently, the module is rather simple to show the purely mechanics. In addition to that, the module is reliable and can handle many balls at the same time thank to the moving tray. 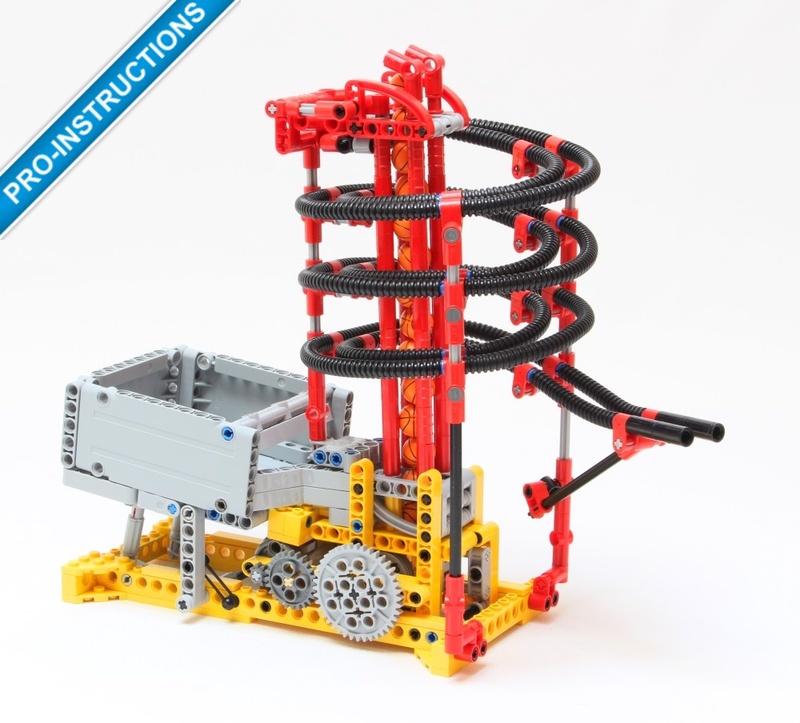 Want to know if you can build the Spiral Ball lift ? 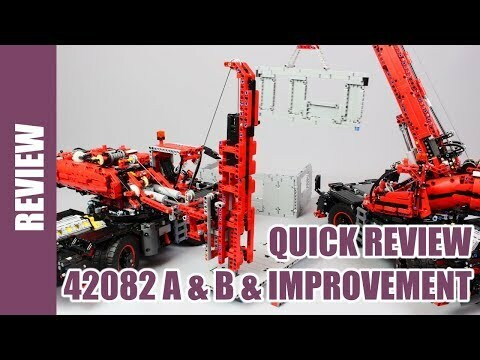 The Spiral Ball Lift has been indexed to rebrickable, check it ! This is not a proper building instructions but some pictures of the elements, in order to enable you to rebuilt it. The construction is quite simple and the module do not need adjustment to work. Just reproduce and it works ! Nota : the two ribbed hose used is 10L (x10) and 14L (x10). Great PDF and wonderful directions. A wonderful design and a real treat to build. 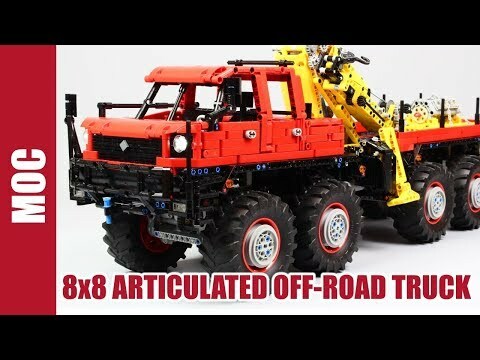 I’m building this for my son’s birthday and I got it entirely off the PDF. The only correction to the PDF is at the very top. On page 31, it shows the two #5 angle pieces going directly onto the connectors, but this leaves too small a clearance for the ball to feed out. On the video, there is a bushing ontop of the connector, which gives enough space. You have to use a #4 axle instead of the #3s to fit into the top of the pump stack. Oh anyway, i checked again, and pdf is available!! 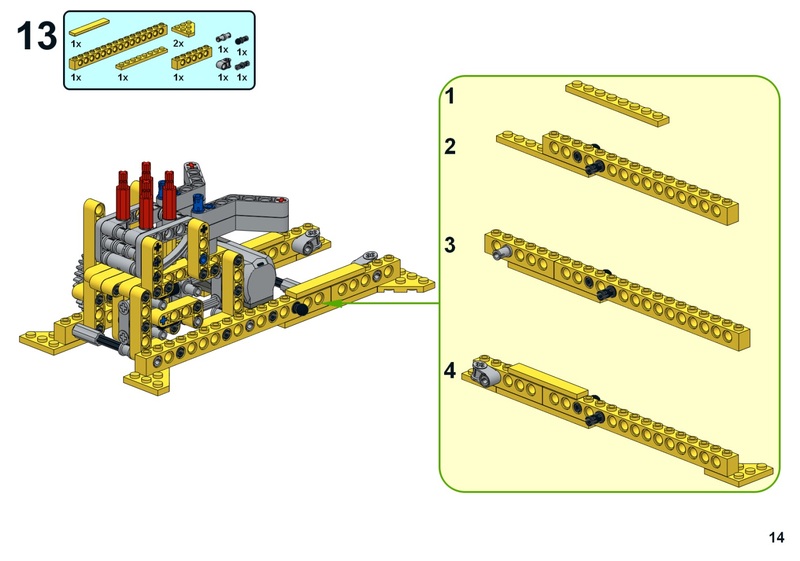 WOW, i am so HAPPY now, and let me check on BL, BUT if the PART NUMBER CAN ALSO BE PROVIDED would be easier for the new technic lego fan…. as im confused…. anyway i love YOUR CREATION A LOT!!!!!!! 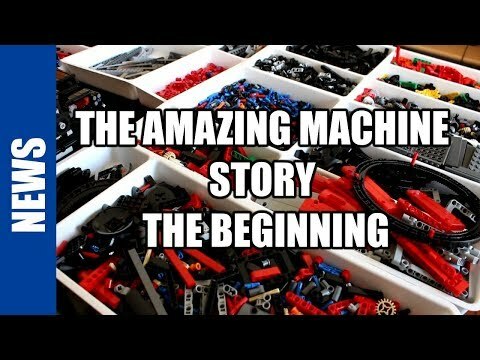 I love this kind of ball contraption alot, but never seen lego create this officially. I want to buy this instruction and make my own one for display on my desk!!!!!! email me if anything advise me, thanks alot , and your creation is very sophiticated!! Hello, it is written in the review, respectively 10x 10L and 14L. Regarding the rubber band, yes a 1.6*1.6 is correct but smaller or larger is ok. I use some small rubber band from tail hair. I really like your GBC modules. 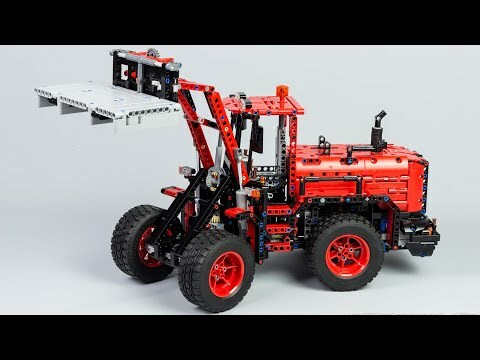 Thanks for designing them and for making all videos, pictures and building instructions available! 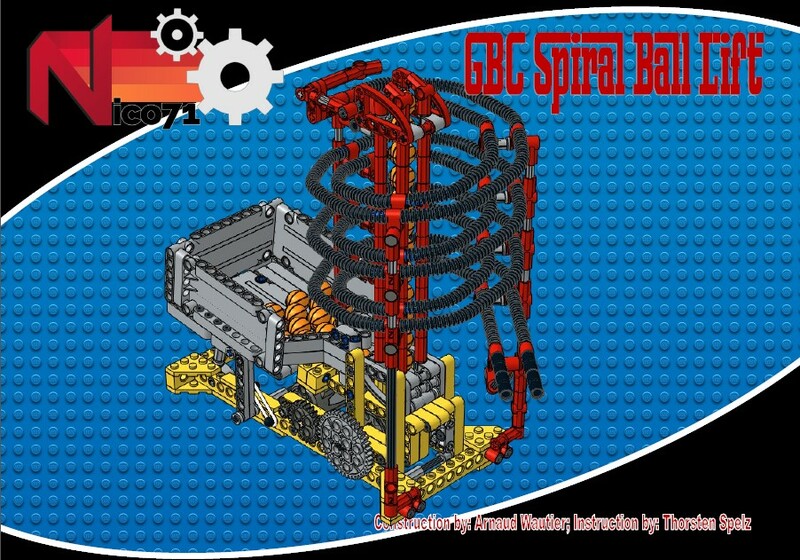 I’m planning to build the Spiral Ball Lift and I was able to find all part IDs on BrickLink. However, I’m not sure about 3 parts and I hope you can support. - Hose, Ribbed 7mm (page 34) : what’s the length of the hoses ? We need quantity 12 of one length and quantity 10 of the other length, but these are available in quite some sizes (1L until 32L). Could you please indicate which two lengths we need. - Rubber belt (page 20) : is this the belt of approximately 1,6 x 1,6 cm ? No, only the inventory with sheet. 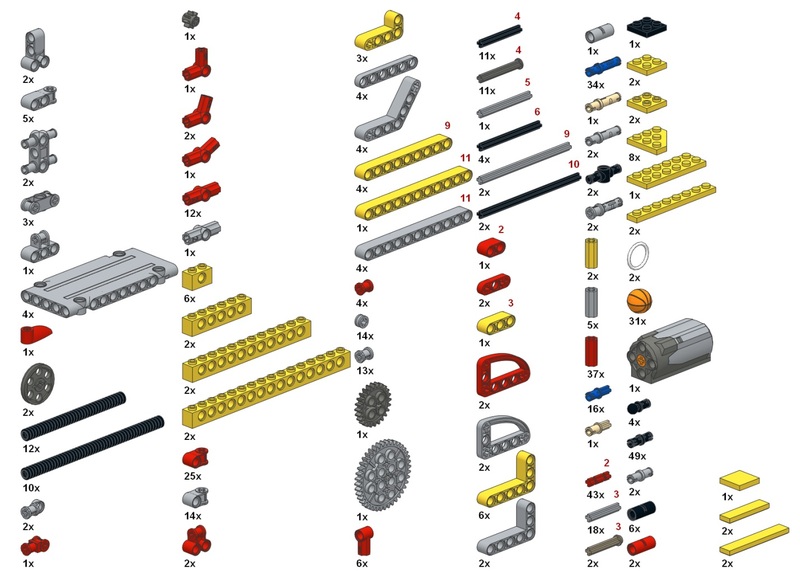 Do you have a list of parts with parts ID or code and quantity of each part? Hi! where can I buy these balls? 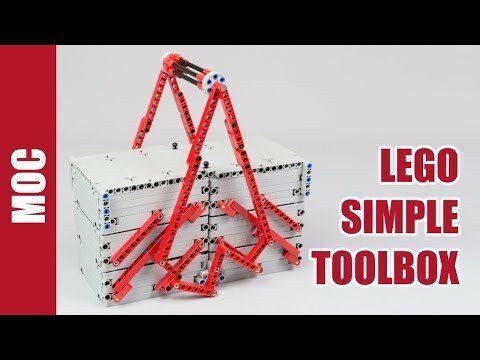 Double Helix Tower LEGO GBC Module – Christoph Bartneck, Ph.D.